Bhagavad Gita Art Gallery--Plate 7: The Blessed Lord said: The wise lament neither for the living nor the dead.. The Blessed Lord said: The wise lament neither for the living nor the dead. 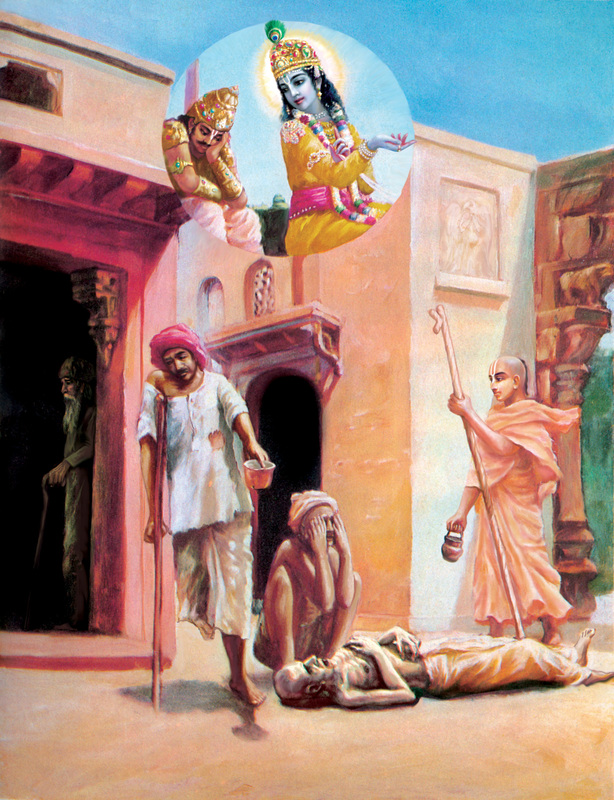 PREVIOUS Bhagavad-gita 2.11 A devotee of the Lord comes upon a man lying dead on the ground and beside him two other men in conditions of bodily misery.